Good Morning! Happy Tuesday!! I am sooo excited for this particular Tuesday. 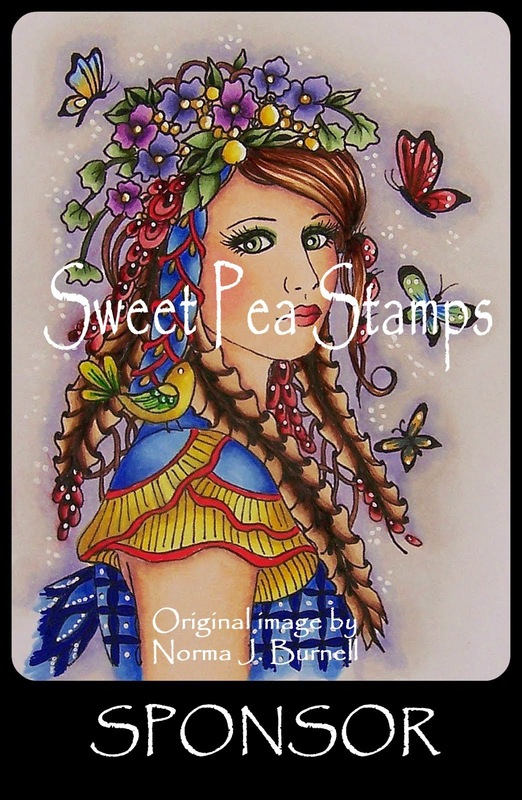 Not only does our sweet friend Rose get to join us for the challenges now (she's lucky - there's a great line-up of prizes this month... heehee), but we have a new guest designer and this week our winner from the judged challenge two weeks ago is our featured stamper. So let's not waste time with me talking - let's get started. But let me say this - I am the luckiest ever - I HAVE AN AMAZING DESIGN TEAM!! I love them so much. My past design team, my current design makes my jaw hit the table every time I open an email from them. You are going to love the interpretation that each member has on this sketch! First up is Marti, our Featured Stamper. This card is gorgeous! Oh my goodness. I love the vintage look of this card. I don't have any details about it, but it looks like she used die cuts or perhaps a Cricut. Next up is our newest member. I know you all know her in the crafting world. She's PaperCrafty to many of you but I'm happy that she's my friend, please welcome Sheri Gilson. 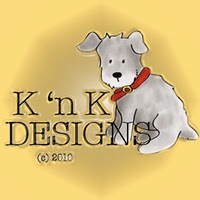 I am so excited that Sheri has joined our team as the September Guest Designer - her work is flawless. 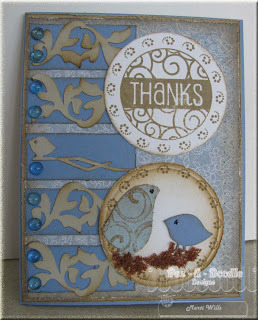 Sheri used an image from our sponsor's collection and really great polka dot paper. The image is Blast from the Past - GoGo Girl. 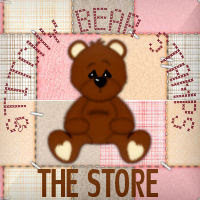 Next up is Theresa, who also used images from our sponsor. She used Princess Penelope and the mask from Sassy Studio Designs and the flourishes is by Recollections. And it's in my favorite color! I heard a great story that my sisters were hanging out the other night at a crop and Theresa was working on this card. There was a young girl there who fell completely in love with this card and her mother offered to buy it from her. Theresa simply asked for the girl's address and will be sending it her. What a lucky little girl to have a Theresa Original. This card is from Joni and it's so adorable! This is one of the newly released images from Inktegrity, the collection is called No Sub-stitute. I think how Joni did this sketch is so cool! The buttons are a fabulous touch. 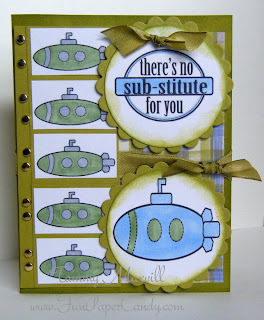 Tammy's card also features the new submarine from Inktegrity and this is another fabulous card. Great colors, great card for a boy any age. So cute! Do you see why I say I have a sore jaw when it comes time to put these posts together? Finally, is my card. 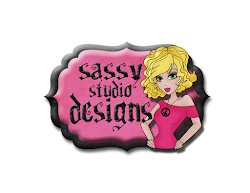 I used Back to School Brittany, Sassy Studio Designs newest release. A big thank you to Lindsay for sending me this image to play with, she certainly is sassy. My entire card is digital with the exception of the card base and black card stock. The decorative paper is part of a digi-paper pack I purchased from A Cherry on Top and the sentiment is from my friend Jen over at Say it with Stamps. I created the star in a word program and then ran it through the Cuttlebug (Sheri gave me the idea). 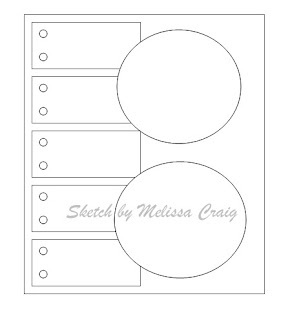 The buttons on the side I created with punching out 1/4" circles and then gluing then on the card. Then I put Diamond Glaze over them to make them look like those cool white metal embellishments you get at Michaels. My card will actually mail for 44 cents! Now it's your turn - I can't wait to see what you make with sketch. Also, I understand the SSD design team will be playing along, so be sure to check in with Lindsay and her gang to see what gorgeous cards they created with the sketch. hi melissa! great work by everyone!!! i have akk the details for mine in my blog! Great line up everyone! This was a super fun sketch Mel. Hmmmm...now this is a sketch that'll take me out of the bo GF! LOL! I saved it to try it out later on today! ;) Thinking cap ON! This is my first on this site....I love this sketch. Good Job! Another great sketch Melissa! Beautiful DT work! I just got home from work and printed this out. I will be working on it! Fabulous cards by the DT!! 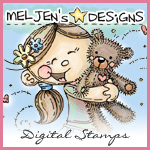 Mel, thank you so much for the opportunity to be a guest designer this month!! Great samples this week also! That was fun and my first sketch challenge from you and I liked it so now I'll have to come here often..Thank You Tammy M.! for the link.. Very challenging but fun! I have posted my card. Thanks for the great sketch! Hey Mel! I got my card linked up! Hope I did OK! LOL! Thanks for this fun sketch! Perfect sketch for a patriotic theme! 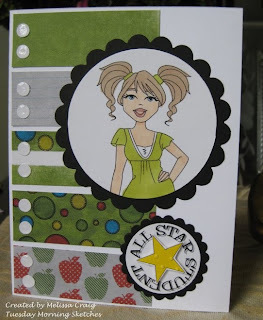 love this sketch-- i was inspired by an oldie but a goodie stamp set! Woohoo! I think I got it done on time this week! I love how my card turned out, even if I had to alter the sketch a bit. I was intimidated at first, but I stepped out of my "box" and I love the outcome! Thanks for the amazing sketch Melissa! I'm a little slow getting to it and have posts on my blog for the next couple days, but wanted to enter, so I liked to my SCS post. This challenge is now closed. Thank you to everyone who participated. We'll see you back here on Tuesday for another great sketch and be sure to stop by tomorrow for the winner and sponsor announcements.